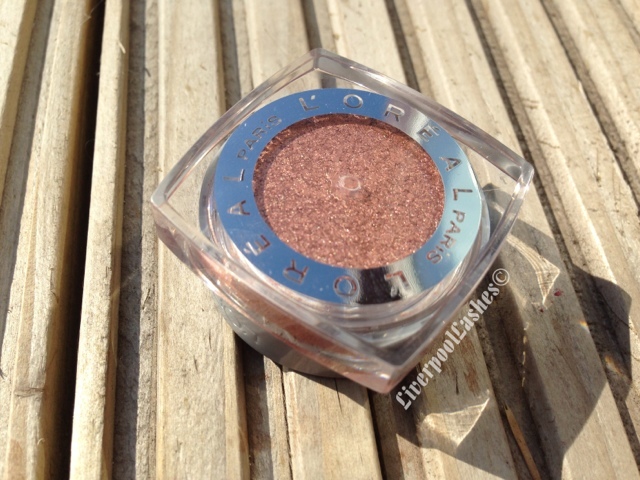 I recently did a swap with one of my friends in the States and asked her if there was any way possible she could get me the L'Oreal 24hr Infallible Eyeshadow in Amber Rush, which she did. 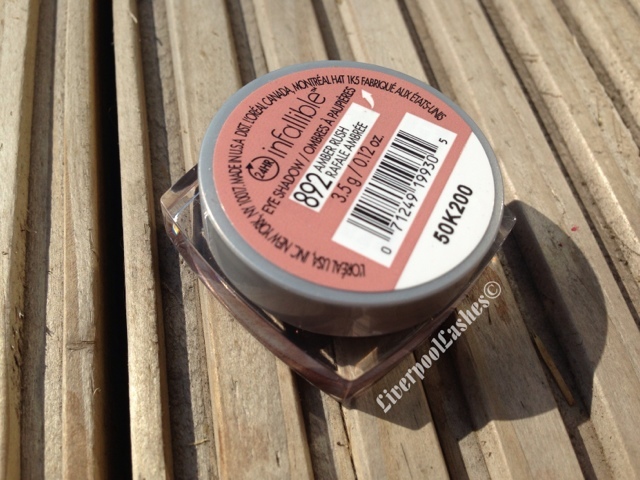 It's so annoying to me that companies bring out certain shades for different countries and then an amazing colour like this one isn't available in the UK. When it arrived it didn't look like the eyeshadow I thought it was going to be to honest but when I swatched it it came alive. I think the best way for me to describe it is it's a mix between a bronze, a copper and a rose gold which has that metallic, highly reflective quality. I feel like on the lid it does look more of a rose gold tone. I sweep it all over the lid for a really simple but stunning look. Despite me wearing eyeshadow on a daily basis I have had compliments on this shadow particularly. 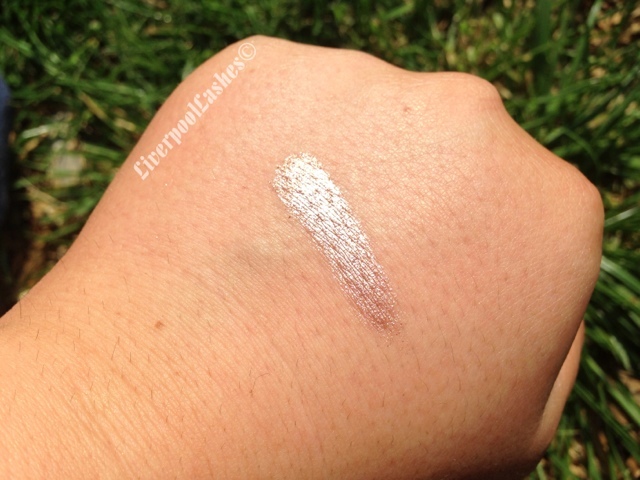 The bottom line is... if you're not able to get this shade in your country then you probably could find something similar, it's not like it's a completely unique eyeshadow but it's just finding it that's the problem. If you're in the US then I would highly recommend you checking it out.